StopRotor: taking on the challenge of building the world’s first StopRotor aircraft. Delivering a new solution to solve a hard problem. Unmanned Aerial Systems Pty Ltd is an innovative company managing the development of the StopRotor aircraft technology. We are focused on the development of a 20kg MTOW UAS platform combining VTOL helicopter performance with long range, long endurance fixed wing capabilities for civil, government and military markets. This aircraft will serve as the prototype for larger aircraft. We are interested in industry relationships that support and extend this goal. Offices are positioned in both NSW and Victoria, Australia to facilitate these activities. Unmanned Aerial Systems Pty Ltd vision is to be a market leading and innovative aerospace design organisation responsible for the conceptual development and technical maturation of a new aircraft type, blending the ideal characteristics of rotary and fixed wing aircraft to offer unprecedented flight performance, and thereby revolutionising aircraft capability. Unmanned Aerial Systems Pty Ltd mission is to conduct ongoing research and development of the StopRotor aircraft technology and commercialisation in a cost and time effective manner. The two most prolific aircraft designs in the world today are the fixed wing aircraft and the helicopter. Each offers unique and commercial capabilities that have led to their dominance in the marketplace. However, what is an attribute in one is a limitation in the other and as yet a single aircraft type capable of blending the ideal characteristics of both in a single and practical form has not been achieved despite almost 100 years of global development. Helicopters offer vertical take off, landing and hover providing mobility from unprepared locations but are limited in speed, efficiency and range in forward flight. Fixed wing aircraft carry large payloads, are capable of high speed, efficient, long range and high altitude flight but are limited operationally to prepared surfaces (ie runways) and facilities requiring large areas of land. Combining these ideal capabilities into a single, practical aircraft is a highly desirable, valuable and much sort after new aerial platform with vast scope in a broad range of applications in the aerospace industry. In order to achieve true fixed or rotary wing flight in a single aircraft requires the ability to stop and start a rotating wing to transition between between fixed and rotary modes of flight. All previous stopped rotor designs have either attempted to stop a rotor in forward flight or not maintained a practical fuselage layout hence rendering all concepts either unsuccessful or impractical for the larger market respectively. To date a successful stop rotor aircraft has not been achieved. Yet existing rotor technology, dating back to the early 19 century routinely stop and start a rotating airfoil by feathering the rotating wing to the airflow. The StopRotor’s unique design aligns the airflow in a sustainable manner with the rotation axis of the rotor engaging known technology to allow transition and then resumes normal flight operations once the transition is complete. It is a practical aircraft design addressing a long standing aviation limitation at a time of great pent up demand. It has a broad industry application offering unique mission adaptiveness / responsiveness and will provide a platform which further innovation can use as a spring board. When I learned to fly helicopters, I loved the ability to take off and land vertically almost anywhere, but felt restricted by their range and performance compared to fixed wing flight. Equally fixed wing aircraft are great performers, but tied to runway dependent operations. As a result, I became interested in why other VTOL concepts had never progressed and began to study the history of VTOL development. I am incredibly impressed with the design and performance of machines that have succeeded in VTOL flight like the Harrier and V22 Osprey. These aircraft types are unique and fulfill specific and important roles, but neither of these is a true blend of a helicopter and fixed wing aircraft. The knowledge gained combined with my personal experiences has been drawn upon in the development of the StopRotor project. The StopRotor aircraft is patented technology. Provisional applications were lodged in Sydney, Australia commencing 2012. A PCT application was lodged in 2013 and following that applications in individual countries will proceed within the allotted time frame. Patents have now been granted in Australia, China and the USA. and pending in Europe. The StopRotor aircraft technology and all the content on this website is covered by a patent or patent pending and not available for use without consent. Unmanned Aerial Systems Pty Ltd is open to discussing collaborative opportunities from a range of markets develop this new technology. 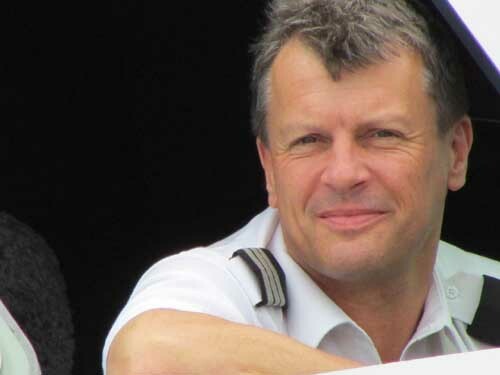 Rowan Watkins is a multidisciplinary pilot who has had a life long involvement and passionate interest in flight. He holds an Airline Transport Pilot’s Licence – Aeroplanes (ATPL-A), a Commercial Pilot’s Licence- Helicopters (CPL-H) plus qualifications and experience flying Hang Gliders, Paragliders, Microlight Aircraft, Light Sport Aircraft, Parachuting and Skydiving. Deanne is responsible for the overall management of the StopRotor Technology company. Deanne has an extensive background in business management, marketing, sales and project management. 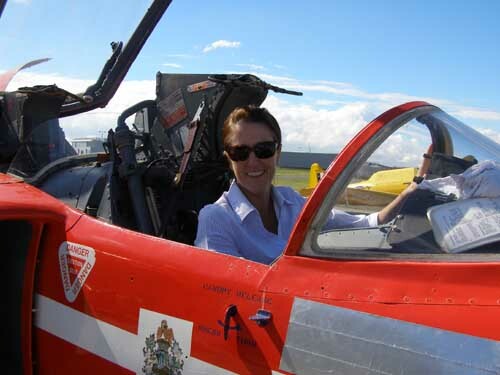 Deanne’s aviation experience includes a 20 plus year background in competitive international skydiving, skydiving chief instructor, Australian and world record holder, as well commercial fixed wing CPL-A qualifications. Roberto Sabatini is a Professor of Aerospace Engineering and Aviation with more than 25 years of experience in the Aerospace and Defence Industry and in Academia. He is an expert in Avionics, Air Traffic Management (ATM) and Unmanned Aircraft Systems (UAS), with specific hands-on competence in Flight Guidance, Navigation and Control, C4ISR, Aviation Human Factors and Ergonomics (human-machine teaming, cognitive engineering and trusted authonomy), and Multi-Sensor Data Fusion for civil and military aerospace applications. During his career, he was responsible for numerous research and flight test programs on airplanes, helicopters and UAS, and he has authored or co-authored more than 250 publications. Roberto is Chief investigator and Project Manager in the development of the dynamics model of the Stoprotor UAV for accurate performance evaluation. Matthew is a lecturer and researcher at RMIT (Royal Melbourne Institute of Technology), School of Engineering: Aerospace Engineering and Aviation. He has over 15 years experience in designing and building UAV aircraft and is an experienced UAV pilot. His research focus is experimental aerodynamics using wind tunnels, aviation sustainability, aircraft performance and turbulence mitigation. Matthew is working with Chief Investigator Professor Roberto Sabatini and is directly managing the investigation into the development of the dynamics model of the StopRotor UAV for accurate performance evaluation. This current project involves the experimental evaluation of the StopRotor UAV (MTOW 20kg) in the RMIT Industrial wind tunnel in both fixed and rotary modes and is supported by flight testing later this year for stability and control characteristics (2016). George Tsiamis has over 30 years’ experience in industry, primarily in the funds management and start-up sectors. Key roles during this time include Head of Operations for ANZ Asset Management, a role in which he was responsible for the accounting, administration and custody of approximately $15B in Funds under Management. He established the operations and finance functions at the newly formed Allianz Equity Management, a boutique funds management operation specialising in Australian Equities. In 2004, George was appointed Chief Financial Officer of the publicly listed McMillan Shakespeare Ltd (ASX: MMS). Over the last decade he has consulted for a number of start-ups in the pharmaceutical and technology sectors. George is assisting UAS P/L with financial and capital management. Nigel is a professional company director and author on business development and commercialisation strategy. He has extensive and successful experience at Executive and Board level in Australia, USA and Asia. He offers a solid capability in business growth, innovation, commercialisation and strategy. His exceptional grip of various technologies and understanding of risk, innovation, analytics and governance make his contributions and advice highly sought after. Nigel is a Commercialisation Adviser to the Federal Department of Industry, Innovation and Science. He is also a Mentor to CSIRO. He is assisting Unmanned Aerial Systems P/L with commercialisation advice, strategy and management.